The Permanente Medical Group (TPMG) is the largest medical group in the United States—and one of the most distinguished. Our nearly 9,000 physicians and 35,000 nurses and staff are leading the transformation of health care, delivering superior clinical outcomes, and having a positive and often life-changing impact on the health of our 4.1 million patients in Northern California. Through nation-leading clinical quality, preeminent research and superior technology systems, we are able to care for our patients like no one else can. In partnership with Kaiser Foundation Hospitals and Health Plan in Northern California, we are a leader in cardiovascular, perinatal and neurosurgical care; sepsis survival; and HIV treatment. Our physicians innovate every day for better outcomes for patients, supported by some of the most comprehensive disease registries in the world and an integrated health care model. From our world-class electronic health record to a seamless care experience for our patients, we set the standard in health care. Our unique brand of health care has deep roots. When America’s entry into World War II brought tens of thousands of workers pouring into the Kaiser Shipyards in Richmond, Calif., to meet the nation’s demand for big Liberty ships and aircraft carriers, Henry J. Kaiser turned to Sidney Garfield, MD, to solve the problem of how to provide health care for a teeming mass of 30,000. Dr. Garfield had previously organized and run a 12-bed hospital in the middle of the Mojave Desert at the height of the Great Depression, treating workers who were building the Colorado River Aqueduct. He realized a prepayment system would enable him to treat illnesses and injuries, while emphasizing the importance of maintaining health and safety. Thousands of workers signed up. This same approach also was enormously popular with workers and their families at the Kaiser Shipyards. With the closure of the shipyards at the end of the war, Dr. Garfield and six pioneering colleagues entered the uncharted waters of applying the concept of prepaid group practice to the general public. Together they founded The Permanente Medical Group in 1948, believing a physician-led, self-governed medical group would consistently place the needs of patients above competing interests. And they were right. Throughout our history, providing high-quality and affordable health care has been at the heart of our success and has propelled TPMG to what we are today—a model for the rest of the nation. Surgeon Sidney Garfield, MD, opens the Permanente Foundation Hospital in Oakland, California. The Permanente Foundation is established. Henry J. Kaiser serves as a trustee. The Health Plan begins accepting enrollees from the general public. Previously, the plan was limited to workers on Kaiser construction projects and their families. Drs. Garfield, Cutting, Collen, Baritell, Fitzgibbon, King and Friedman establish The Permanente Medical Group (TPMG). TPMG invents and initiates the first multiphasic examination, a comprehensive health checkup. The “Tahoe Agreement” preserves and strengthens the partnership between TPMG and Kaiser Foundation Hospitals and Health Plan (KFH/HP). The integration of KFH/HP and the Permanente Medical Groups came to be known as Kaiser Permanente. Cecil Cutting, MD, a founding partner of TPMG, is elected as the first executive director and CEO. The prepaid group practice model is approved by the American Medical Association. TPMG’s Division of Research (DOR) is established. Permanente physicians serve as principal investigators in such areas as cardiovascular disease, cancer, diabetes, allergies and psychosomatic disorders. The first TPMG residency training programs are established, providing training to interns and residents in a number of specialties. The first Health Education Center opens, featuring in-person classes, recordings and films on a variety of health topics. Scientific American publishes Dr. Garfield’s article “The Delivery of Medical Care,” which describes using the computer as a central piece of an effective health care delivery system. TPMG physicians are now responsible for the care of 1 million patients. Our first neurosurgery center opens. Bruce Sams, MD, is elected second executive director and CEO of TPMG. 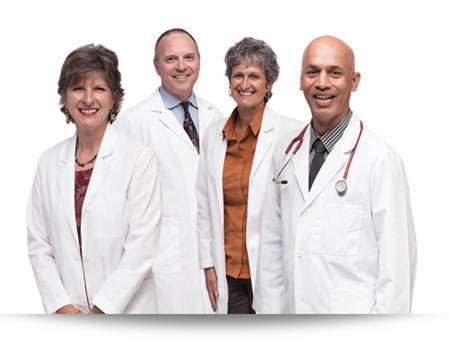 TPMG physicians are now responsible for the care of 2 million patients. TPMG produces a videoconference called “Sharing the Care,” which early in the epidemic educates physicians about best care for patients with HIV. W. H. Caulfield, MD, is elected the third executive director and CEO of TPMG. The first Spanish and Chinese bilingual, bicultural primary care modules open. Preventive health prompts are added to appointment registration slips to remind patients of their current screening status and when tests are due. Robert Pearl, MD, is elected the fourth executive director and CEO of TPMG. The Regional Perinatal Service Center opens for women with high-risk pregnancies. TPMG physicians are now responsible for the care of 3 million patients. The U.S Preventive Services Task Force adopts TPMG’s recommendations for colorectal cancer screening. Preventing Heart Attacks and Strokes Everyday (PHASE) is launched to help hundreds of thousands of patients control their cholesterol and blood pressure. TPMG adopts a conflict of interest policy that becomes an exemplar for the nation. DOR begins its Research Program on Genes, Environment and Health (RPGEH) to investigate genetic and environmental influences on health. TPMG and the Mid-Atlantic Permanente Medical Group (MAPMG) affiliate; Dr. Pearl is CEO of both. Our comprehensive electronic medical record system installation is complete, connecting millions of members to their personal health information and physicians. The My Doctor Online website is launched, providing patients with health information and convenient tools to make appointments, access laboratory data and obtain advice from their physicians. “HIV Challenge” is launched nationally, based on our success at early HIV detection and treatment. A majority of our patients have registered to access some of their health care needs electronically. 7.3 million secure email messages are sent to physicians. Video visits, a secure way for physicians to consult with patients online, is launched. The health care coverage and medical care provided under Kaiser Permanente represents the work of Kaiser Foundation Hospitals (KFH) and Kaiser Foundation Health Plan (KFHP), each a 501c3 not-for-profit company that provides hospital services and insurance coverage, and the work of the physicians and staff of the Permanente Medical Groups (PMGs), which are responsible for the organization and delivery of medical care. In Northern California, the PMG providing medical services is called The Permanente Medical Group (TPMG). All three parts of Kaiser Permanente combine to provide these services to KFHP members. While KFH and KFHP are governed by a single board of directors, each of the PMGs is an independent, self-governed, self-managed, physician-led multispecialty medical group that provides patient care in each of the seven KP regions around the country. Together we are leading the transformation of health care in this country.